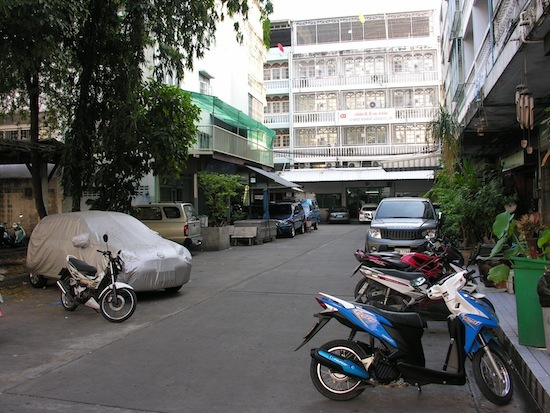 Calling itself "The Ordinary Hostel", de Talak is situated in a very ordinary neighbourhood that’s off the tourist trail but within fairly easy striking distance of Sukhumvit and Silom. You don’t have to be “ordinary” to stay here, but if seeking a clean and cheap hostel with an unpretentious vibe and hidden-away location, this should be right up your alley. Low-key hostel in a low-key neighbourhood. A small ground floor reception area leads back to the kitchen, and a cosy second floor lounge has a large flatscreen TV and computer station to go with bean bag chairs and a couple of guitars. The entire building is air-con and WiFi is free throughout. Quarters are a tad tight in the common spaces — townhouses like these were built to expand up rather than out — but the place is very well-kept and has a homely feel. It did in fact serve as as someone’s home for many years before the hostel moved in. Decor is simple, but not without some tasteful touches. 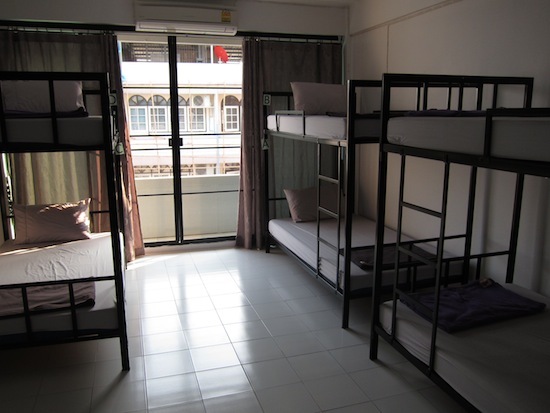 Three dorm rooms each come with six beds and are available in mixed, female- or male-only varieties; women-only dorms are common in Bangkok but this is one of the only guy-only options we’ve come across. A splatter of pink and lime green is thrown in, but walls are mainly blank white to match the tile floors. Each dorm room has wide, wall-size windows and curtains are thick enough to provide privacy but also allow some light to filter through. Bunks don’t come with reading lamps but plugs are within arm’s reach. Bathrooms are “ensuite," meaning that a single clean hot-water bathroom is shared between whoever is occupying the same room. All guests also get a private, medium-size locker. Inside one of the spacious dorms. At 250 baht each, these are among the cheapest bunks you’ll find anywhere in the city, and because only six beds are included they’re also quite spacious — an extra bunk or two could have easily been crammed in. Given the cleanliness and general facilities, all of de Talak’s rates are very competitive at the shoestring budget end of the spectrum. The location ensures that your nights will be free of thumping bars and honking horns. De Talak also has a spacious private double room with flatscreen TV and ensuite private bathroom. This is a steal at 690 baht, but not surprisingly, it’s often occupied so be sure to book in advance. If you’re travelling in a group, a large, bright family room is also available for 1,000 baht. 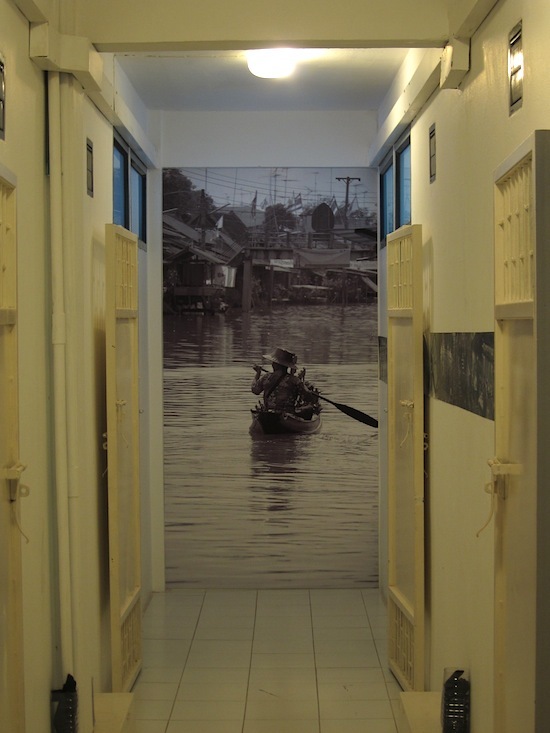 A few other Bangkok hostels, like Phiman Riverview have surprised us with their off-the-beaten-track locations, but de Talak takes it to another level. To get here, you’ll need to find Soi Phai Sing To near the corner of Rama III and Rama IV roads, then walk down a narrow side-alley that takes you past a bottle and can redemption centre before emerging into a hidden-away block of townhouses. Head around the corner and the hostel is in one of these utilitarian five-storey structures. Thankfully, the hostel’s bright orange signs lead you right to it. A left, and another left, and you’re there. Apart from a handful of street food vendors on Soi Phai Sing To, the immediate area offers little in the way of food options. Khlong Toei wet market is a five-minute walk away, however, and de Talak boasts a great kitchen area for those who prefer to cook for themselves. The laidback but welcoming staff sweetens the deal by offering complementary coconut ice cream to guests on weekdays, and free coffee and tea at any time. 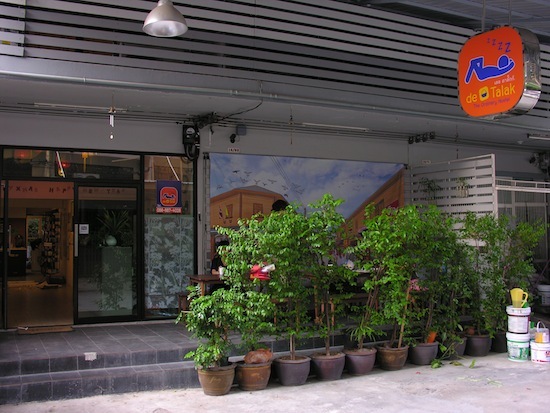 A handful of restaurants are also found nearby on Rama IV Road, and de Talak is strategically located less than a five-minute walk from Khlong Toei or Queen Sirikit MRT stations. The lively Asoke area and Sukhumvit Road are one stop away on the subway or can be reached after a 15-minute walk that will take you past the underrated Benjakiti Park. Heading in the other direction, Lumpini Park and vibrant Silom Road can be reached after just two stops on the subway.